We went around many electric pianos before deciding on this model. We wanted a robust home piano with a good strong 'realistic' sound. I am still a firm believer that Yamaha make the best realistic sounding pianos and I am not disappointed with this. 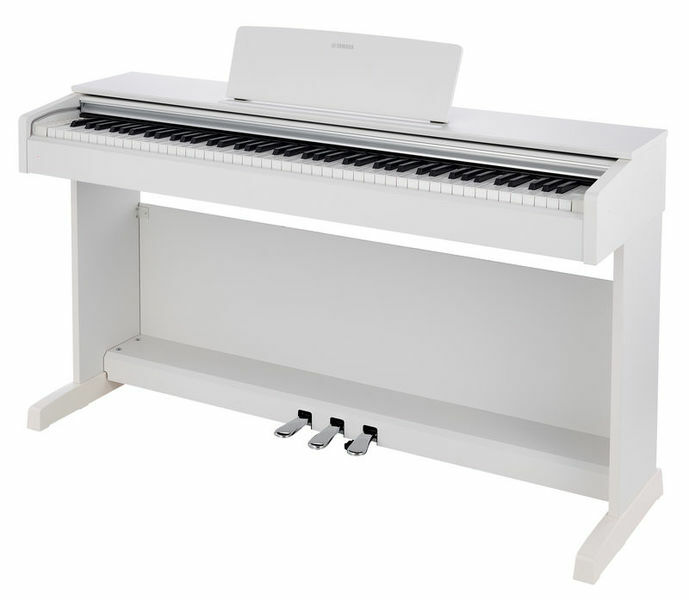 You could go further in the Clavinova range, but the extra cost for the difference did not make sense for our use. 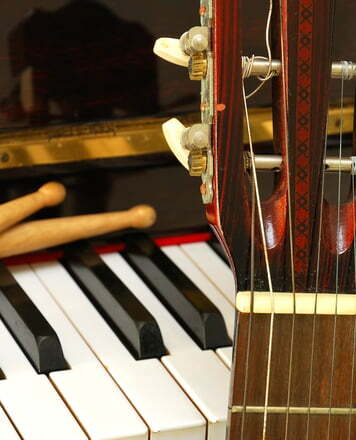 The keys are fully weighted (GHS) and comparable with real pianos on the bass and high ends. Having a full 88 key range is so much nicer than the 61 on my other keyboards. The volume on the built in speakers is sufficient for home use and can get to a reasonable volume. The feature to maintain the tone at low volume is very nice. I do miss a few things, but it might just be me. It has a USB port which is for the midi, it would have been nice to have so additional midi sockets (but it might be that I am just an old fart) and also a set of line outs round the back for recording would have also been nice, otherwise you are limited to the headphone socket. But then again, our criteria was that we wanted a 'switch on and play' home piano and not a studio master keyboard. The built in metronome is good, but having no display you cannot tell the speed other that faster or slower. The reverb effects are nice and add some ambiance to the sound.Te other sounds are OK, but I guess you are not buying this to play strings or glockenspiel on, you just want a good sounding, good feel piano. 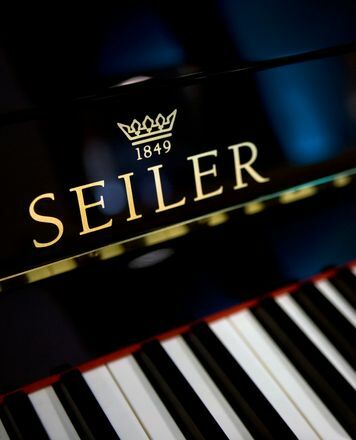 For a family who have one or more members who want something a little more upmarket and more 'piano-like' to learn and progress on I can't think of a better piano. It does 'weigh a beast' so you need some assistance to assemble and carry it as it is HEAVY! I have not tried recording yet on it, but this is also good to practice and listen back. Al in all a very nice piano. The piano came in a few days and the communications were perfect. The packaging was in good condition. 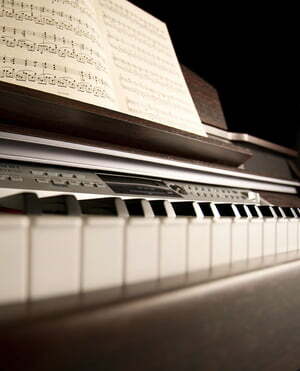 The Yamaha YDP-143 digital piano is great !!! I am very pleased. The only advice I can give is to divide the package into two parts: the keyboard and the containment mobile. Bringing on to the first floor, through a narrow staircase, a box of 58 pounds was quite difficult. Besides the aesthetics that I find great, the sound is also convincing. I was used to real pianos (I have an old wall-to-wall piano) and I can use this keyboard to get tailor-made sounds. By connecting the keyboard via USB cable to the PC and with specialized software, I can have, in addition to a real Steinway, a whole orchestra at home and can overcome the 6 watt limit of the speakers by applying external speakers. Certainly the touch is not that of a real mechanical piano and those who are not used to me (it is as if their fingers slipped on the keys), with the workout being able to improve precision and achieve higher speeds. Ultimately, the product is great, especially considering the value for money. ID: 384857 © 1996–2019 Thomann GmbH Thomann loves you, because you rock!